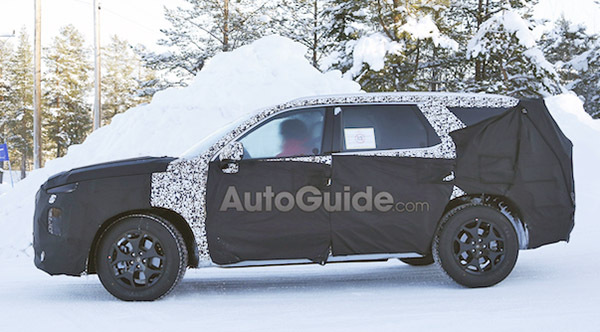 Looks like that big Hyundai SUV will end up being pretty close to the new Grandmaster Concept. I am not sure why they even have this. 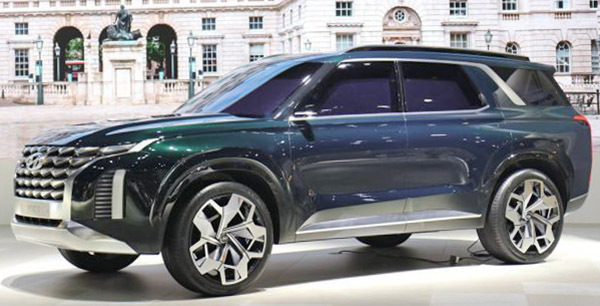 Kia is already getting their version of the giant SUV soon called the Telluride. Wouldn't this big luxurious SUV fit the "luxury" brand better? Right now they only offer a bunch of sedans. Genesis SUVs have been mentioned, promised for a few years. I’m guessing this will be FWD and they want Genesis SUVs to be RWD. One big difference I see is the windshield pillar. The concept has the blacked out style, while the prototype does not. That's going to change the look quite a bit on the production model.